An elegant band, crafted from polished platinum. Finished with a glistening row of diamonds totalling 0.20ct, this ring makes for a stunning wedding or eternity ring. Platinum 0.20ct Diamond Wedding Band is rated 5.0 out of 5 by 1. Rated 5 out of 5 by Anonymous from Pretty and Elegant Diamond Ring I chose this ring as my wedding ring. It was perfect. 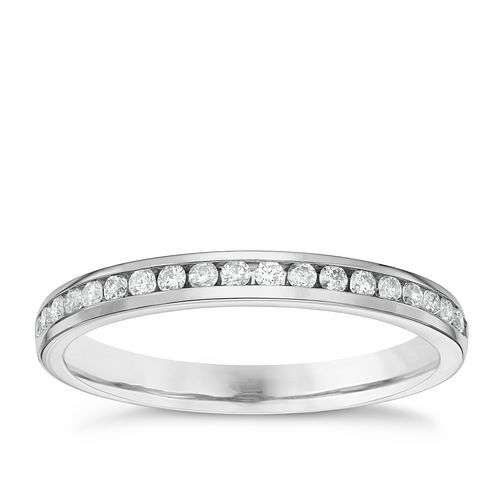 The wedding band is simple and elegant with little diamonds that sparkle in the light. I can’t stop looking at the ring everyday. I would highly recommend others to purchase it.